Mountain View Montessori offers a comprehensive and insightful Parent Education Program for MVM parents to learn and better understand Montessori theory and their child's daily classroom experience. Parents have several opportunities throughout the year to learn about the Montessori materials, methodology and the classroom environment. 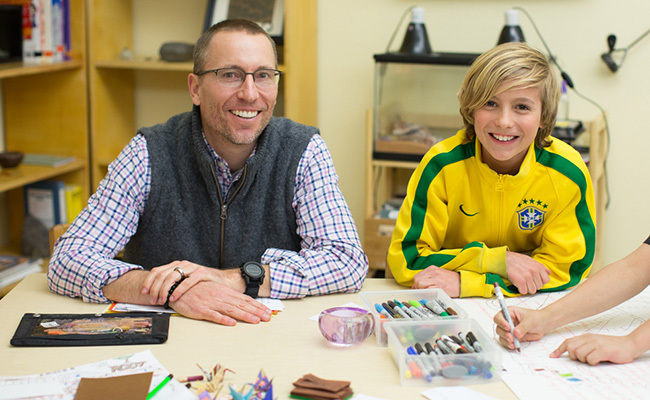 Attendance at our parent education classes enriches the entire family's experience at MVM. MVM is passionately dedicated to children and families within the school community and in the larger community. MVM offers Positive Discipline classes and workshops for primary, elementary and adolescent parents. Positive Discipline is based on the work of Alfred Adler and Rudolf Dreikurs, both contemporaries of Maria Montessori, and teaches adults how to create an environment where children learn to become responsible, respectful and resourceful members of their communities. Positive Discipline offers information for parents to gain a deeper understanding of their child’s development and offers practical methods to affect positive changes in children’s behavior and family dynamics. Classes include discussions, activities and role-play that address the different types of discipline and communication that supports children in developing mutual respect, a sense of capability and a desire to contribute. Our classes and workshops are currently offered at no cost to MVM parents and interested community parents. If you are interested in obtaining additional information about our Parent Education classes, please contact the school.